Allow the fitting of any regular ahead stem to give a truly adjustable position, internal diameter 28.6mm. A shim is required to fit this to smaller seat posts. Will also fit 1 1/8" steerer tube and can be used to get a variety of positions on any bike with 1 1/8" steerer. Measures 170mm end to centre of clamp, 140mm of which is usable. 28.6mm diameter on clamp and extension. What is the height of the seat clamp please? What is the height of the seat clamp please? Critical for me to get the Captains seat as low as possible. Thank you for your enquiry, the height of the clamp section on this item is 40mm. 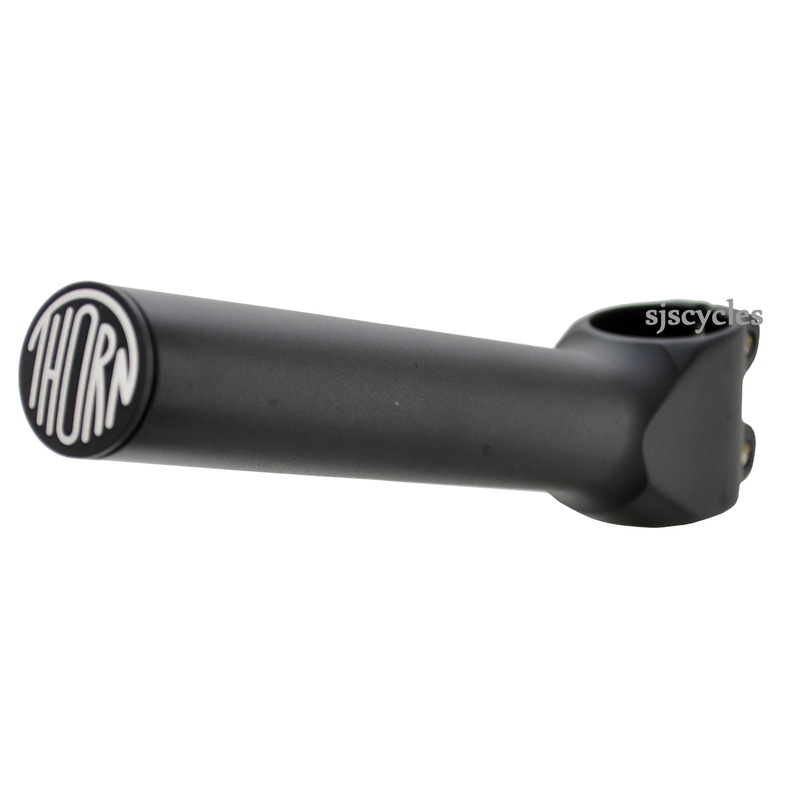 Can I Fit A 1 1/8" Extension Stem Inside This Stem? Looking to get a stoker stem that I can fit a long quill stem in to give super far back rear handlebars for my little one on kiddy cranks in the rear. We have this on one bike and need to replicate. Would stem (sjsc #39362) fit the internal dimensions if we take the Thorn plug out of the end? The internal diameter of this stem extension is 23.3mm so a 1 1/8" quill stem (25.4mm diameter shaft) would not fit, but you would be able to fit a 1" quill stem (22.2mm diameter shaft) along with a small 1mm shim.